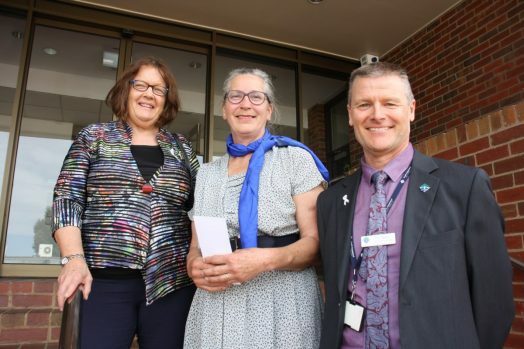 • They’re not scared: Mayor Cr Lorraine Brunt; new Tarwin Valley Ward councillor, Rosemary Cousin and Council CEO Tim Tamlin, after the announcement. WHILE former councillors Jim Fawcett and Nigel Hutchinson-Brooks were the touted front runners for the positioned vacated by Cr Maxine Kiel, an outsider stole the crown. Allambee South’s Rosemary Cousin won the vote during a count back at South Gippsland Shire Council’s chambers on Tuesday afternoon. The organic farmer and Greens member said her membership of the party “was not anything to be scared of”.